I have a new favorite way to style my teeny weeny afro and I just had to share it with you guys. It involves defining my natural curl pattern using the Shingling Method. Here is a detailed video tutorial. See how I refresh and keep up the style here. Have you tried The Shingling Method? Love it!! How long does it take you to your hair like this? Thank you. It takes about 2 hours! This is just what I needed. 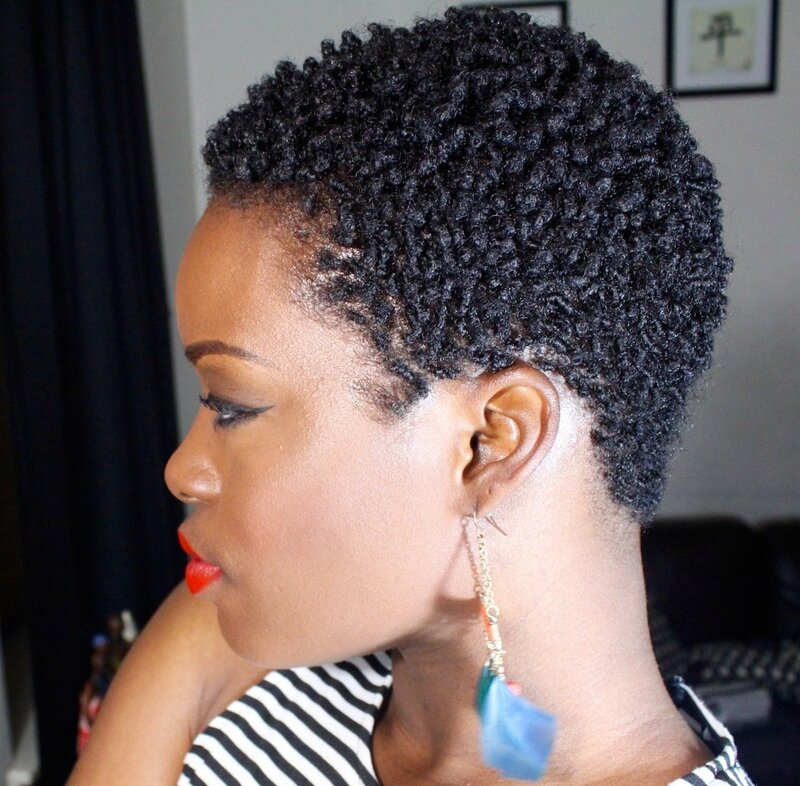 My TWA is beginning to grow out and faster than I expected so this tutorial is right on time. How long does the style last? I keep it for 10-14 days depending on how my scalp is holding up. Hi Brandi. I mentioned the Alikay Naturals Lemongrass Leave in, which I’ll be reviewing soon. I use different products depending on the mood of my hair. You can see a lot of them under the “Hair” category. I love your style. Please make more videos! Unfortunately I don’t work out regularly so I can’t be sure. It should be fine as it holds up through extremely hot and humid days. Thank you soooooo much for introducing me to the shingling method! My curls are popping!!!! Yaaaaaay!!! I absolutely love your hair! Thanks for sharing. I recently done the big chop! You’re welcome. Congrats on your Big Chop and good luck on your journey!